The modern November birthstone is the yellow topaz and citrine is considered the alternative birthstone for November. Topaz, according to ancient folklore, could control heat. Whether it be boiling water, anger or a fever, those wearing topaz had the power to get heat under control. It is also believed that topaz can strengthen the mind and guard the wearer against sudden death. The Greeks believed it had power to increase strength and to make its wearer invisible and the Romans thought topaz had power to improve their eyesight. The Egyptians wore topaz to protect them from injury. The name topaz is derived from the the Sanskrit term meaning fire. 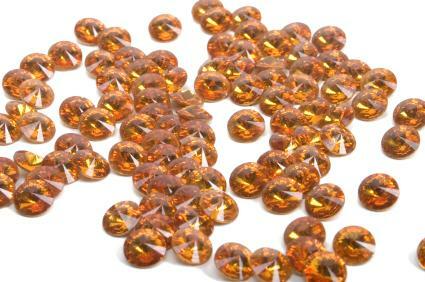 Topaz is a rare gem that has been used for centuries in jewelry since it is the hardest of the silicates. The topaz is expensive and comes in a wide array of colors including blue, pink and yellow. Yellow topaz is the birthstone for November. What Is Topaz Used For? Citrine is a yellow gemstone belonging to the quartz family. The name is derived from the French word, citron, meaning lemon. Citrine is widely available and affordable making it the perfect alternative to the rare and expensive yellow topaz. Citrine is often mistaken for the yellow topaz due to its almost identical appearance. Those wearing citrine are believed to be protected from evil thoughts. It is believed that citrine helps enable self esteem, stimulates the awakening of the mind and serves as a natural relaxant. The birthstones for November are perfect to give as a gift to a friend since the color yellow represents friendship. By giving a piece of November birthstone jewelry you show that you are giving a personal and significant gift. Since both stones resemble one another, they can be worn together or mixed in with existing pieces of jewelry.